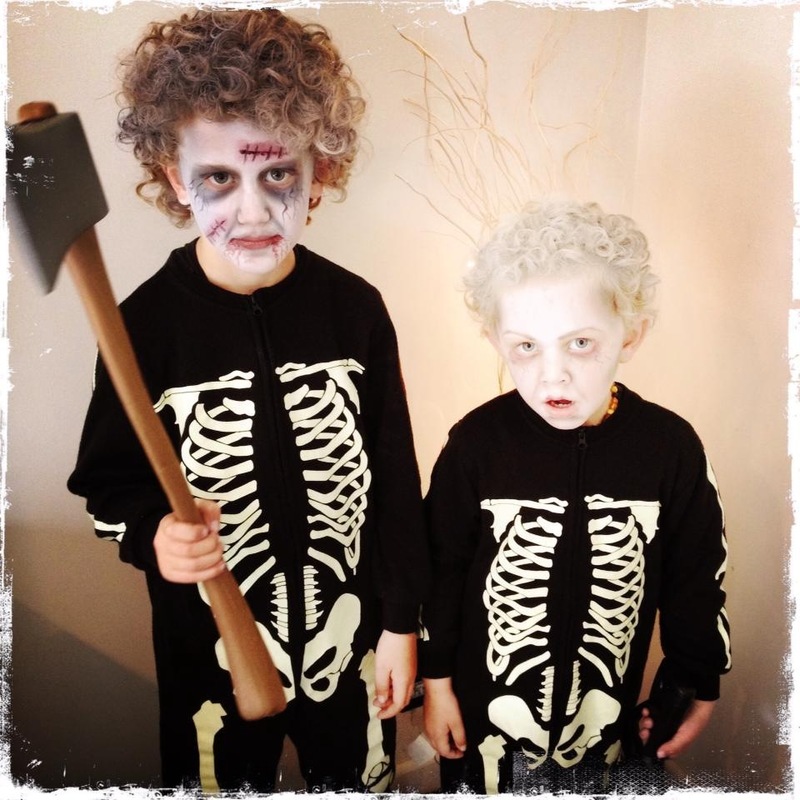 Zombie nephews. Photo by Hayley French at feijoadesigns. These two little treasures look iron depleted and could perhaps do with a good feed of spinach from our lush garden, but it’s Halloween and what they are really after is zombie brains and sweets galore.